Beautifully appointed Ledgestone model situated on a large corner lot backing to a common area. Kitchen features upgraded cabinetry w/Granite counter tops w/custom detailed back splash, & large island. Beautiful tile flooring throughout with carpet in the bedrooms. Both the Master and Guest baths have been updated w/beautiful tile details, granite tops, under mount sinks, heavy glass frameless enclosures & upgraded fixtures. 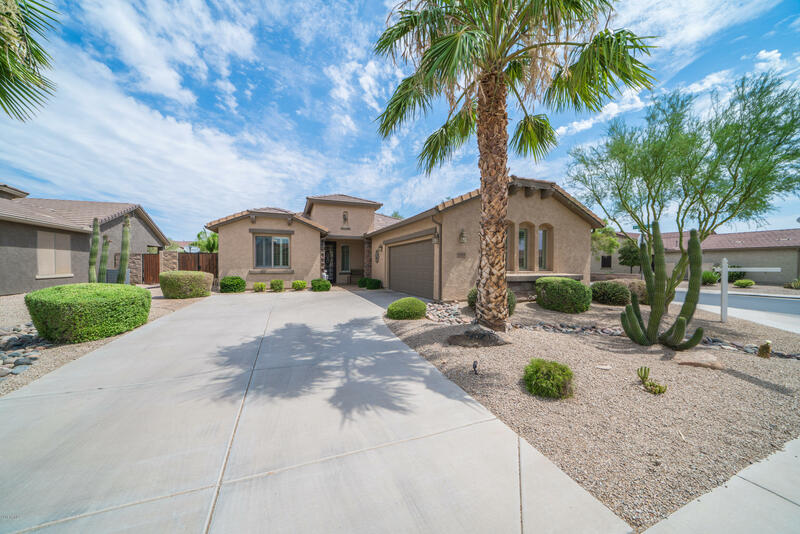 Step out to the beautifully tiled covered patio w/extended patio & walkways, a special water feature, fire pit, built in BBQ, and a private spa - truly an entertainers paradise. Fully fenced side and rear yards, a 2.5 car garage. Lovingly cared for w/many other quality features. Quality furnishings are available by separate bill of sale. This property is a must see! !